Please take good care of me. You probably can’t think of a Great Dane without recalling the cartoon character Scooby-Doo. Besides being a pop-culture icon, the Great Dane is a majestic creature often called the “Apollo of Dogs.” If you have one or are thinking of getting one, be aware of some health issues. 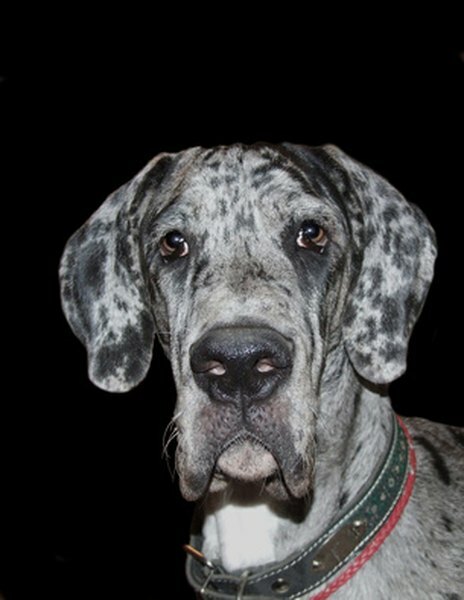 Seen in young Great Danes, wobbler’s syndrome gives a Great Dane a wobbly gait. It often appears that the dog is clumsy from growing too fast, but that isn't the case with wobbler’s syndrome. There's pressure on the spinal cord in the neck, which could lead to greater instability or paralysis. The condition could improve with restricted activity and rest. If not, surgery might be necessary. It's important to feed a Great Dane a well-balanced diet to promote proper bone growth. Hypothyroidism, a thyroid deficiency, can lead to all sorts of symptoms including lethargy, weakness, inactivity, mental dullness, weight gain, hair loss, recurring skin infections and intolerance to cold. Lifelong hormone treatment can resolve the symptoms. Your veterinarian monitors your dog throughout his life to adjust, when necessary, the synthetic hormones you give. Your dog will also be put on a special diet. Most dogs respond well to treatment. An improperly formed hip joint causes hip dysplasia. Except for the most mild of cases, hip dysplasia is painful. Your Great Dane might have it if he seems stiff when getting up and is hesitant to jump in the car or go upstairs. Hip dysplasia cannot be prevented because it's an inherited condition. You can manage hip dysplasia by providing a healthy diet, making sure your dog is not overweight, and by giving massages, joint supplements and anti-inflammatory medication. Surgery might be an option. Swimming or short walks no longer than about 20 minutes are good forms of exercise for dogs with this condition. A too-large heart that doesn’t function properly characterizes dilated cardiomyopathy, a heart disease. This condition could lead to congestive heart failure. Symptoms include rapid breathing, shortness of breath, coughing, lethargy, loss of appetite and abdominal distension. The symptoms are treatable with medicine, but dogs generally live only six to 24 months with DCM. It’s risky to buy any dog from a pet store because the dogs there often come from puppy mills where breeders are not knowledgeable about health problems. These backyard breeders often work with dogs who have poor bloodlines, and the dogs they breed are often genetically predisposed to health problems. In contrast, reputable breeders that you can find through the Great Dane Club of America or through the American Kennel Club are devoted to improving the breed's health and appearance. 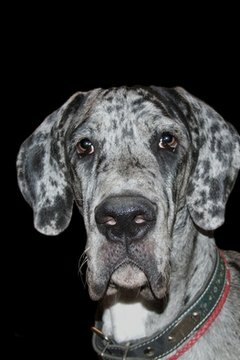 Great Dane Club of America: Is a Great Dane Right for You?